LightWare Optoelectronics is delighted to announce our equipment sponsorship of the 2016 UAV Challenge Medical Express. 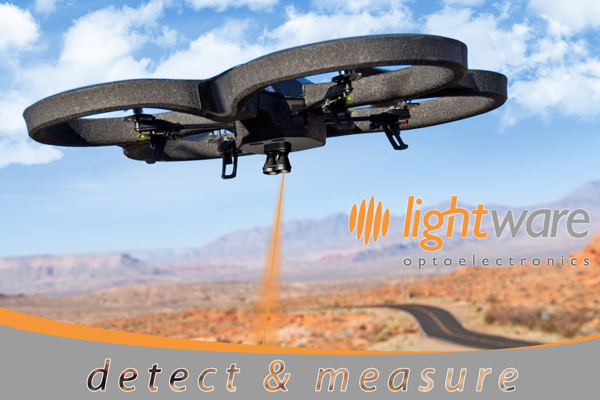 With over 30 years experience in laser sensor technology, LightWare has developed a range of lightweight laser rangefinder altimeters and collision avoidance sensors for drones. These laser rangefinders interface easily with flight controllers to assist with: AGL altitude maintenance; terrain following; precision hovering; and landing safety. LightWare is sponsoring one SF10/B laser rangefinder to each of the first twenty teams successfully passing the Deliverable 2 milestone that apply. First-come, first-served: eligible teams must email LightWare directly to claim their rangefinder after May 1st 00:00 UTC.